The proud Gulf state of Qatar boasts an enviable catalogue of documentary films commissioned to capture and celebrate the many aspects of its culture and natural history. These movies combine ravishing visuals with equally colorful soundtracks - including these four sumptuous original scores from composer Stuart Hancock. 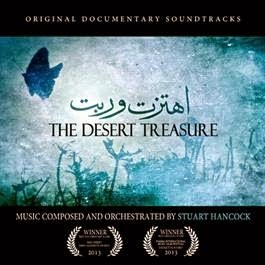 Alongside suites of highlights from Qatar Dream 2030, Written In The Sand and Birdlife of Qatar, we present Hancock's elegant complete score for The Desert Treasure, which has garnered two major international awards. Performed by the Bratislava Symphony Orchestra, the scores are a rich blend of lyrical symphonic western orchestration, Persian instrumentation and contemporary electronics that reflect the grace, mystery, nobility and vibrant colors of this flourishing nation. Sedunum is a mixture of classical, tribal & contemporary elements. It was created by mufti-instrumentalist Xy, who has been writing music in the rock/metal band Samaël for almost 20 years. The album invites the listener to a journey without time or physical boundaries. The recording was made at Smecky Studios (Europes most popular studio for the recording of orchestral music), along with the Philharmonic Orchestra & Choir from Prague (conducted by Adam Klemens), who has recorded music for more than 200 projects in film, television, musicals and video games. The songs from Sedunum vary from modern/classical influences to more experimental elements. Percussion and tribal rhythms are accentuated with orchestral instruments, including harpsichord, guitars and a full choir. Part of the album will be played during the entire summer in Sion on the historical site from Valère & Tourbillon, where it will be synchronized with a light show projected onto both castles (running every Wednesday, Thursday, Friday and Saturday from July 16th til September 13th). The album will be released on July 11th in Switzerland via Galactical Records / Musik Vertrieb and in Europe on Kronos Records. Metal Hammer Germany will also make an exclusive feature of the event. "The Desert Treasure" is also another grand release, it's got a great sound I am on my third time listening to it and it gets better each time. Especially the two longer tracks, it gives you a solid feel without interruption. 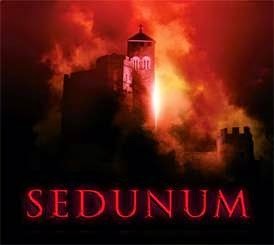 "Sedunum" it was questioned if it were a soundtrack or a rock [album]... it is a soundtrack by all means... it has a tender, yet rip you apart in a good way. Very Nice... so go hear some of the samples and decide for your self!